Anker is best known for being one of those brands that fill online stores with batteries and cables for mobile phones. They make very good, simple and cheap products, but there are times they embarks on more interesting projects. Under its Nebula brand, Anker presents the project Nebula Capsule, a projector capable of creating a 100-inch image that is the size of a soda can. Nebula Capsule is a pico projector, a projector minimized to the maximum as much as possible, while maintaining a decent image quality, although obviously not in large sizes like other larger projectors, capable of reproducing video in 1080p or 4K at a great distance. 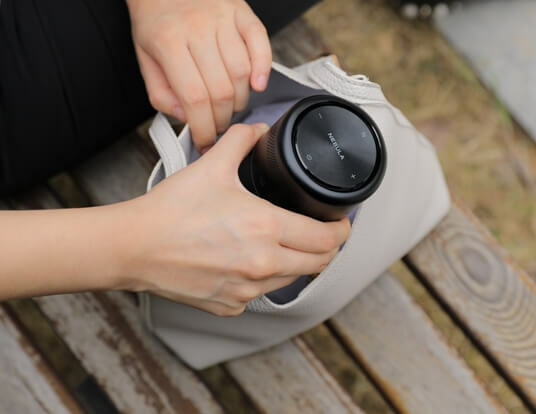 The idea behind Nebula Capsule is to create a projector that you can take anywhere, with everything you need so that when you least expect it, you can reproduce photos and videos. According to specs, Capsule is capable of projecting a clear image up to 100 inches. In addition, it has a 360º speaker so that the sound reaches the world. It can also serve as a loudspeaker if that’s what you’re interested in. When using Android, you can use applications like YouTube, Spotify or Netflix to play your favorite content. By power, you can even make presentations with this projector. Anker has prepared an application that allows you to wirelessly connect a computer, tablet or smartphone and do remote control, but you can also connect a USB or products via HDMI, such as a Chromecast media player, Apple TV or why not, a game console. Among its features, its lamp withstands about 30,000 hours and has a brightness of 100 lumens. The minimum projection size is about 20 inches to about 60 centimeters, the maximum about 3 meters away. It has an internal memory of 8 GB and a battery of 5,200 mAh. Enough to take a day of use, although its use is more thought to be connected to the power grid. Anker sells Nebula Capsule for $269 in Indiegogo, while it is in this phase to raise funds and start production. The normal price will be $349.